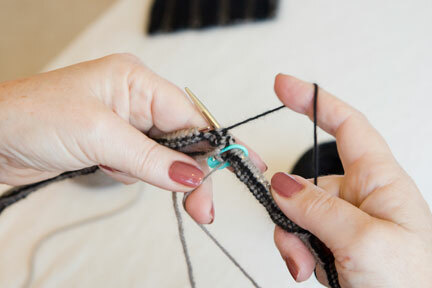 Joining numerous stitches in the round requires that you carefully align the stitches on the needle in order to avoid twisting the cast-on edge around the needle. Work the first three rows flat, slipping the last stitch of the third row. 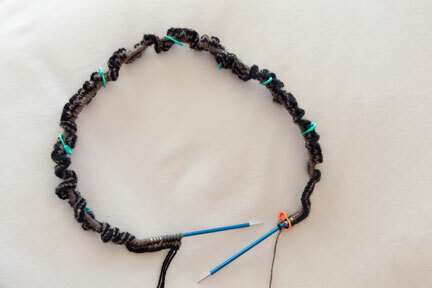 Adjust stitches so that they are evenly distributed across the cable, with the mid-point marker at the center of the cable. Place right index finger on the mid-point marker, making sure the cast-on edge is below the cable at that point. 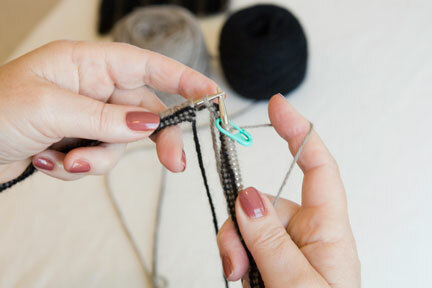 Use right thumb and middle finger to bend and firmly hold the cable around the right index finger. Place left index finger in the middle of the bent cable so that index fingers touch. Place left middle finger and thumb on the outside of the cable. pull straightened stitches back toward the bend. Repeat the process of the left hand spreading and straightening the next group of stitches, and the right hand maintaining the orientation of the stitches while pulling them back to toward the bend. 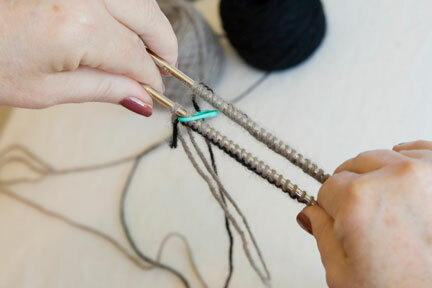 placing the slipped stitch back onto the left-hand needle. to join the round. 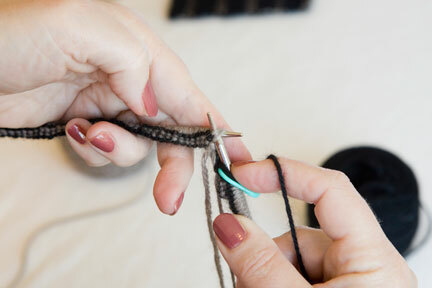 Work a few stitches, then (IMPORTANT) check the round to verify you've successfully completed a NO TWIST join.